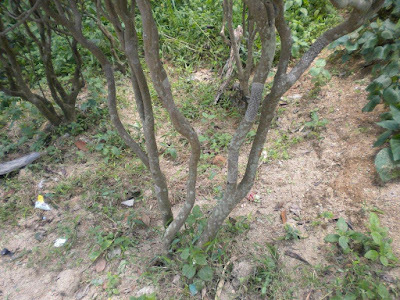 Two types of tea trees: the kind found in Yunnan, where multiple stalks emerge directly from the ground (top) and the kind found in Guangdong, where a single stalk grows up and branches out above ground (bottom). 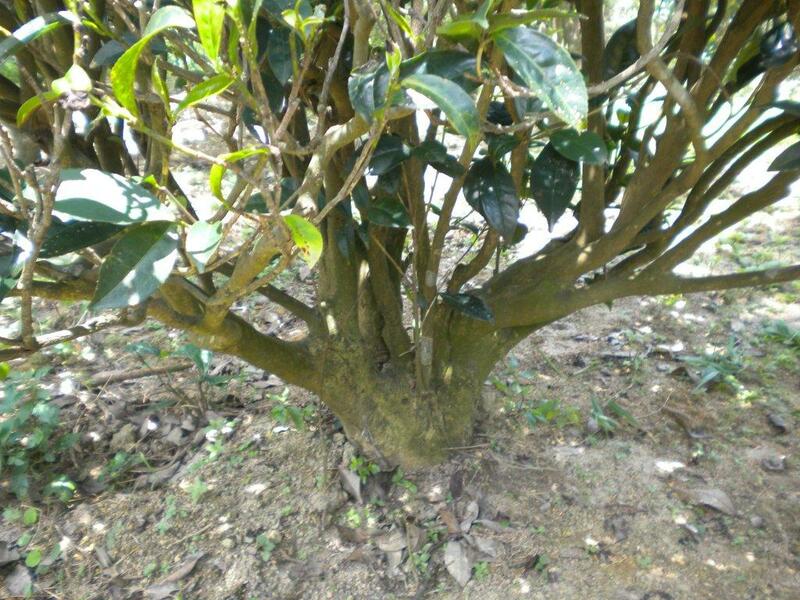 The famous dan cong variety is this latter type. 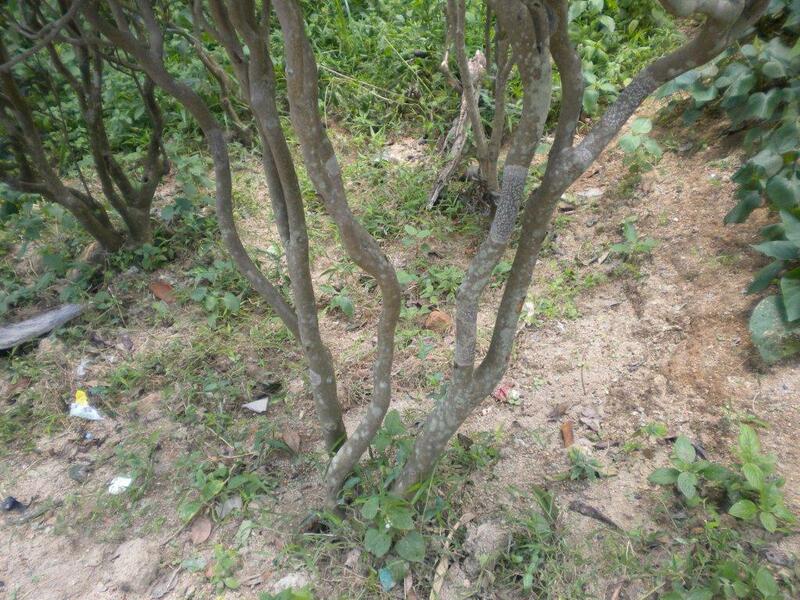 Both of the plants pictured here grow in Mr. Wang's forest on Gu Dou Shan in Guangdong Province. 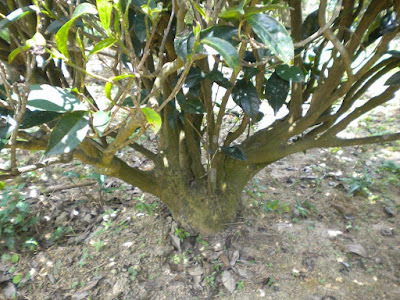 The top plant is an import from Yunnan, while the one pictured below is the native bai yun cha.